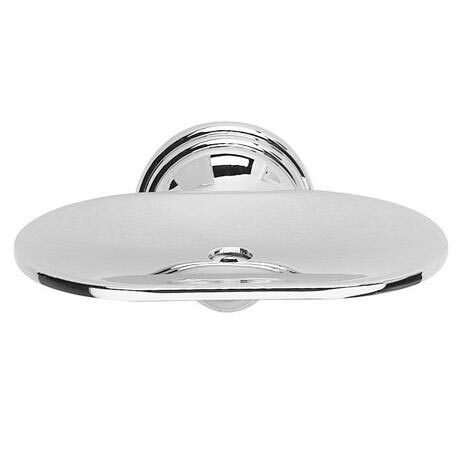 Croydex Westminster Soap Dish in chrome is stylish and looks great in any bathroom. Our stylish range of wall mounted accessories combine design innovation and top quality manufacturing to offer a comprehensive collection, with something to suit any style of bathroom. Good product neat and smart. I bought this dish for two main reasons. Firstly the chrome finish matched the rest of my bathroom fittings and secondly it has drain holes and surprisingly not many dishes do. I find this strange as to find a soggy soap floating in its' own bath is annoying. "Good quality product, packaged to avoid scratches." I recently bought two of the Westminster Soap Dish. Great looking item and good value for money. The item was delivered within 3 days. Very well packed. The Assistant I spoke to was very helpful and very pleasant. Nothing was too much trouble for her. I would certainly recommend this company to anyone buying a new bathroom suite or the accessories to do with it. Great value. Well done Victorian Plumbing Company.